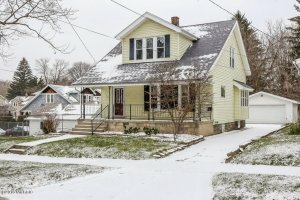 You’ve probably seen ‘we buy houses fast’ signs in Grand Rapids, MI, and wondered what they were about. 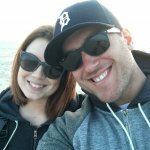 Well… we buy houses fast in Grand Rapids, MI and I’ll tell you why. 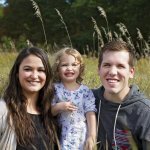 First of all, welcome to our blog. Here you’ll find plenty of helpful articles on real estate, ranging from buying and selling your house to renting out your property. We offer tips and advice to anyone interested in the real estate business. I NEED TO SELL MY HOUSE FAST! 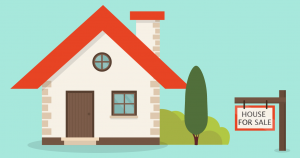 In this article, I’ll discuss the importance of our house buying business and why you should consider a cash house buyer instead of going through the usual long house-selling process. Companies that buy houses quickly are on the rise and you probably know a few people who buy houses fast. Are you ready to discover this real estate industry changer? We buy houses fast! WHAT ARE THE PROS OF SELLING TO A CASH HOUSE BUYER? Selling to a cash house buyer has many advantages you’re probably not aware of. In this article, we’ll look at a few detailed ways selling your house fast can benefit you more than selling to an agent. Many people are looking for tips and tricks on how to avoid foreclosure. With a cash house buyer company, you can do just that. Being able to sell your house before it goes into a foreclosure is extremely rare and almost impossible when you’re selling to an agent. But with a cash house buyer, avoiding foreclosure is just one of many benefits you can get. We have bought from a client that was facing foreclosure the very next day by getting the bank to agree to avoid having the house go to auction because we were going to buy it and then closed on the very next day. It’s fast, it’s safe and reliable. And we help you every step of the way. It’s a fast process. Your house can be bought in just a few days, or, if you’re not ready yet, in a few months. It’s completely up to you. It’s an ideal choice for those who need to relocate quickly and don’t have time to go through the long process of selling to an agent. We are safe, reliable and completely trustworthy. We don’t charge fees. Not even for offering you real estate advice. You simply fill out a form, we call you back and it’s a done deal. Real estate business is fast and selling your house used to take a lot of time away from people – not anymore. We buy houses fast and take them in any state – you won’t have to worry about making repairs or making sure your house is in a perfect condition. All those things just delay the selling process and that’s the last thing you want. We completely get it. We mean it when we say no paperwork. No bank loan approvals, no foreclosure, nothing. Just a quick and safe sale. Imagine never having to fill or scan piles of documents, get references, and deal with all unnecessary things again. So, you need cash in 2 days time? No problem! Or do you want to take your time and can’t currently move out, but you’re still thinking about selling your house? Are you a veteran from Grand Rapids who needs to relocate? It doesn’t matter – we will cater to your needs. Try us! SO HOW SAFE IS CASH HOUSE BUYING? It’s natural for people to question a no stings attached process. I talk more about how to spot cash house buying scammers in my other articles, but you should know that scammers can be found in absolutely every profession. Cash house buying is completely safe if you know who to trust and how to spot scammers – there are as many scammers as there are legitimate companies. Always be careful and always be safe. Remember, there are people who use the popularity of the ‘we buy houses’ campaigns to take advantage of homeowners. Always be careful of ‘we buy houses’ scams! HOW DO YOU SPOT CASH HOUSE BUYING SCAMMERS? When researching the company, it’s important to check their credentials. Google their name beyond the first page and use different keywords to see what comes up. A safe and legitimate company that buys houses quickly will always be ready to answer any questions you might have about the process. As us, they might even have a detailed blog with benefits on selling or buying your house. The team behind Indigo Home Solutions works hard to make sure you are provided with the best information possible- Sell your house fast and do it the right way. 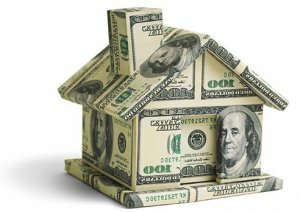 WHAT IS THE BIGGEST BENEFIT OF BUYING HOUSES FAST WITH CASH? We talked about the pros of selling to a cash house buyer. But the biggest benefit of people who actually buy houses fast is the freedom of living without a mortgage. Imagine no monthly mortgage payments, nothing that takes away a huge portion of your income. That feeling of being mortgage-free is absolutely incredible, and this why many people are buying houses with cash. Buying a house with cash also benefits your credit score. Applying for various types of credit is easy when you don’t have mortgage payments holding you down. We buy houses fast. It’s what I do. I’m ready to help you with anything you might need. My website can provide you with all answers you might have on the house-buying process, but we don’t just stop there. Thinking of becoming a landlord? Going through a divorce? Wondering how to stop foreclosure? Or just in need of simple advice on how to sell your house fast? All information is available to you for FREE. And if you’re still not happy with what you find – give me a call. I’ll make sure all your questions are answered so you can sell your house for cash fast and safe.